Join George, Lizzie & Ralph for a little Rampage! 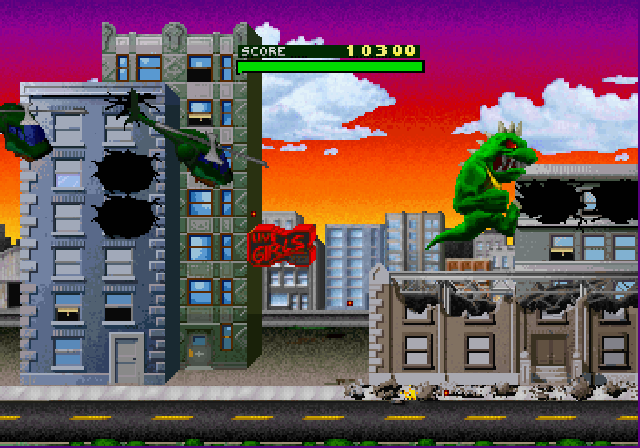 Rampage World tour was the arcade sequel to the original Rampage arcade game. This sequel was a long time coming. 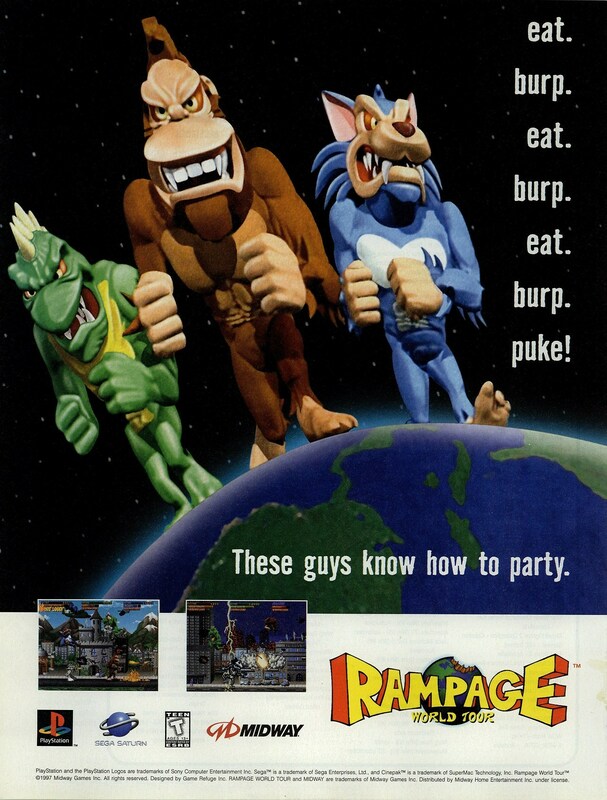 The original Rampage was released in 1986 while Rampage World Tour was released eleven years later in 1997. A number of home ports were released starting later the same year. The PlayStation and Sega Saturn versions were the first to appear in late 1997. The above ad is for those versions. The following year, Nintendo 64, Game Boy Color and PC versions were also released. The game received pretty mediocre reviews but it was popular enough to spawn at least three more sequels. It would also be re-released as part of Midway Arcade Treasures 2 and as a bonus game in Rampage: Total Destruction. 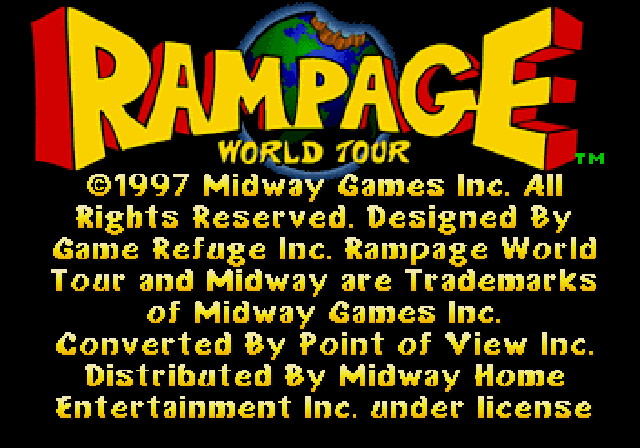 The gameplay of Rampage: World Tour is much like the original Rampage. Your goal is to destroy each city while avoiding or destrorying the military as it tries to stop you.